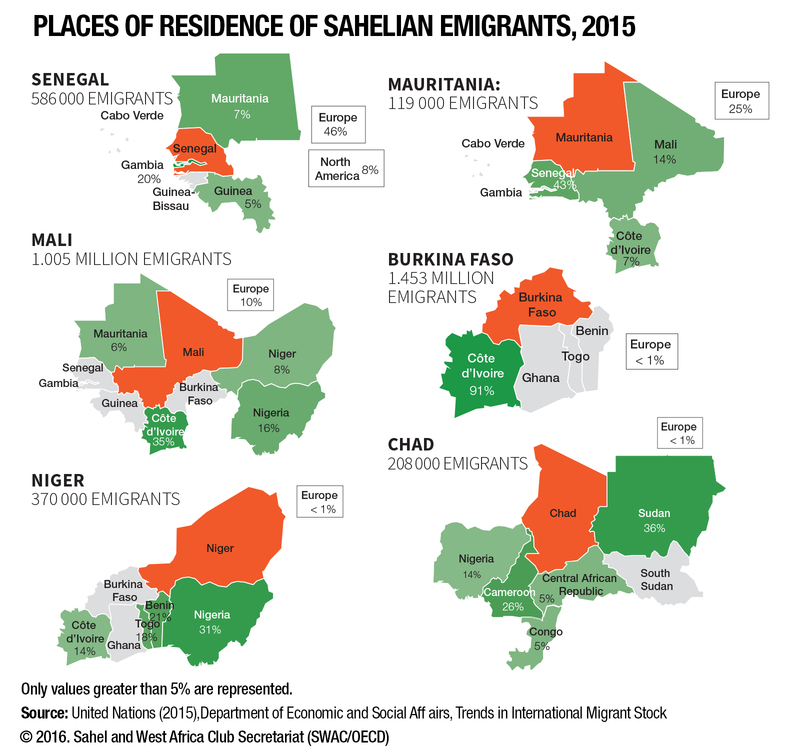 Sahelian migration within the region: Burkina Faso and Mali alone are responsible for over 28% of West African emigrants. Along with Niger and Chad, they are the countries whose migration trajectories are most centered on neighbouring and nearby countries. Emigrants from Senegal and Mauritania are more oriented towards the rest of the world. Cabo Verde has proportionately the largest number of emigrants; its diaspora is larger than its resident population. Seasonal migration during the lean season in Sahelian countries is impossible to accurately assess, but is probably in the millions. It is an important factor in food security since seasonal migrants generate additional income and relieve pressure on the environment.